Project Seeds: Have you been naughty or nice? 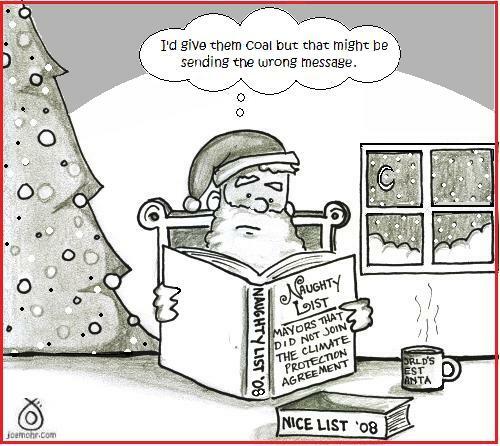 In the spirit of Christmas, here is an old cartoon from 2008. The cartoon was created in response to those US mayors that did not sign the Climate Protection Agreement, in order to meet the standards of the Kyoto Protocol.